To-Increase is partnering with Eazi Access to look at better ways of incorporating customer-centric technology. Starting with a seamless interface that works across diverse platforms. Eazi Access is Africa’s market leader in the rental, sales, servicing and training of work-at-height and material handling solutions. 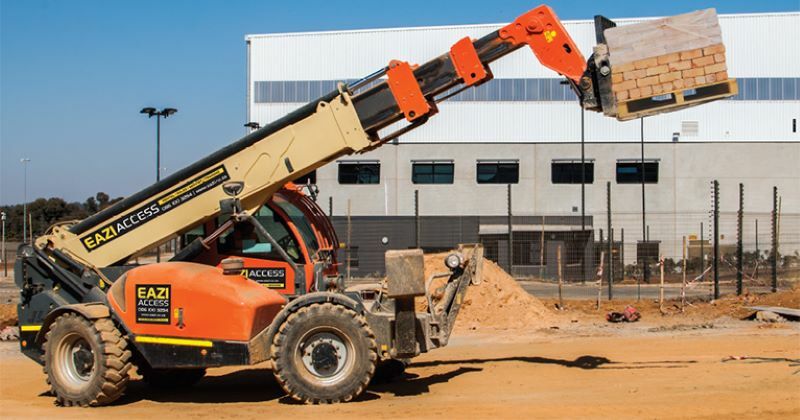 Their offerings include access platforms, telehandlers, rotational telehandlers, high capacity telehandlers, mini cranes, mast boom lifts, compact crawlers, trailer mounted boom lifts and lastly accessories. They also have the largest and most diverse fleet of boom lifts, scissor lifts, telehandlers, and vertical personnel lifts on the continent. A strict commitment to safety as well as productivity has been essential to Eazi Access’s success and reputation. Their groundbreaking work in quantifying the cost- and time-saving potential for solutions has proven invaluable to customers over the years. In addition, they continuously review global best practices to ensure equipment, support, and training sustain the highest levels for international quality, and keep pace with international safety and regulatory requirements. Over the past few years, Eazi Access has focused increasingly on meeting customer needs via empowering technologies, especially mobility and online services. This shift involves significant changes in Eazi Access’s ERP system. On top of that, they are swiftly moving to Microsoft Dynamics 365 for Finance and Sales as part of their growth journey. By working with DynaRent, Eazi Access can focus on increasing customer reach and operational agility with online quoting and reservations. Additionally, DynaRent enables flow between infield operatives and the customer. As a result, Eazi Access can rely on software that can adapt to different customer business processes.